Emergency supply of drinking water, employment in desaster areas, or in underdeveloped countries, or at times of production peaks, etc. 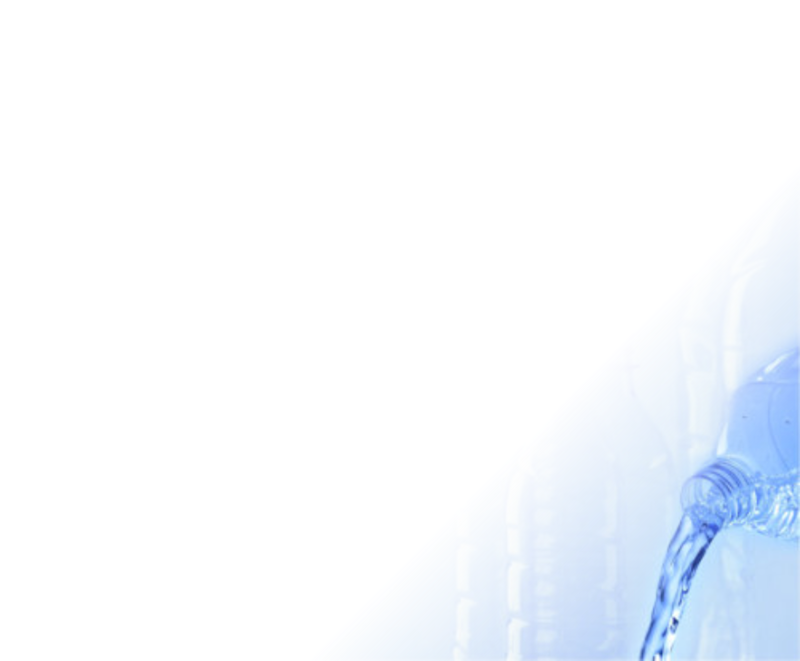 A containerized Water Purification System (Reverse Osmosis or others) is available on request, adapted to the available water quality. 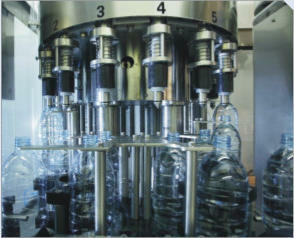 Bottling / packing of clean drinking water in PET bottles (blowing of PET bottles with pressured air of 15 bar only!) 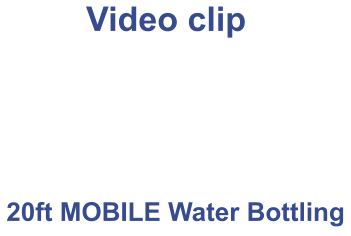 direct at the source / lake / river or sea .... possible with our clean, intelligent and modulare Mobile-Water-Bottling & Packaging-Plants for bottling of still and carbonated beverages. 1. Commercial PET preforms 2. Commercial closures / caps 3. 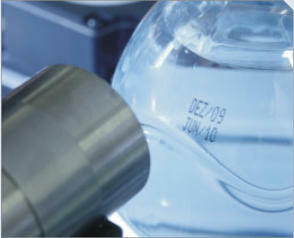 Labels Consumables can be purchased on local markets, or can be delivered from Germany. Production steps: Move the mouse pointer over the preview images with numbers in order to enlarge them on the left side. 1. PET bottle blowing with15 bar ! • Screw air compressor • Air conditioning • Stretch-blow-moulder >ECON-PET< designed for Container installation • UV-treatment of PET bottles, water and caps • Filing machine • Capper • Labelling • Ink-Jet-Date coding of filling date A complete closed box concept as it is installed in an insulatet container for clean production and packing of drinking water. 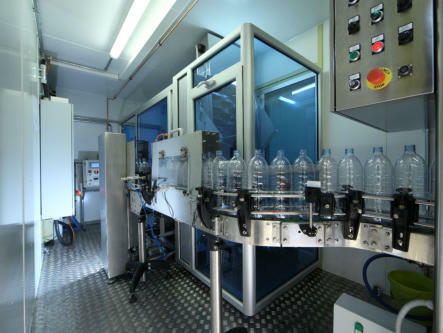 • Up to 3,000 bottles per hour • For the production and packing of up to 90,000 Liter clean drinking per day • Bottle volumes 0.2 - 1.5 Liter, others on request • Blowing pressure for bottle production max. 15 bar • Very energie saving system • Average consumption complete approx. 55 kW/h • Power supply: a) The system can be connected to the local mains, or b) a generator will supply the system with power. 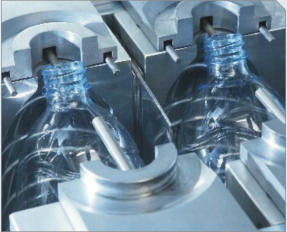 • Environmentally friendly and energy evicient production of your own PET bottles by our mobile, containerized systems. By means of our very cost effectiv operating PET stretch-blow-moulders >ECON-PET<. 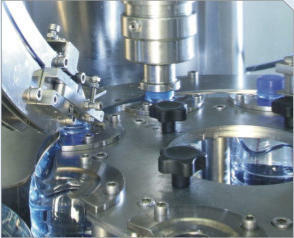 The >ECON-PET< model operates with a blowing pressure of 15 BAR only (other machines are working with 30 - 40 bar) thus this system is predestined for the economical shaping of your preforms. 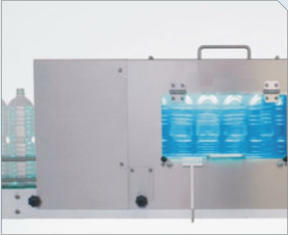 • Compact and space saving design • Easy to operate • A diesel generator can provide the energy required for this complete portable PET Water Bottling Factory, or it can be connected to the local mains. 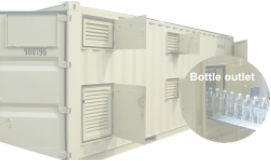 • Thus this container system can be used as an independent stand-alone bottle production, providing hygienic drinking water to the population within its operating area. • The blowing pressure of 15 bar will be supplied by a silent and very efficiently working Screwcompressor. 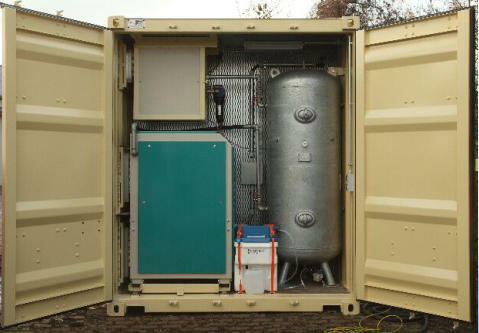 • The screw compressor system is installed in a separate, insulated compartment at one end of the container. 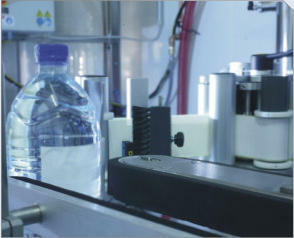 And a filter system ensures the supply of clean air, approved for applications in the food packaging industry. 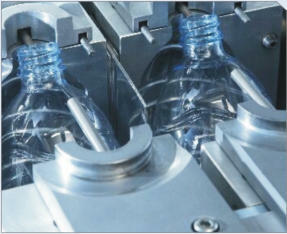 • Because of the modular construction of the Container-Systems the Mobile Water Bottling Plant can be connected with further containers with PET bottle packaging machines.